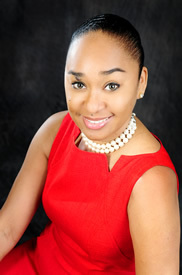 Dr Ngozika Daka is a graduate of the University of Pennsylvania, School Of Dental Medicine. She graduated with top honors including prizes for outstanding performance on the National Dental Boards as well as in Dental Pharmacology. After graduation, she worked as an Attending Dentist in the Department of Dentistry at Montefiore Medical Center, University Hospital of Albert Einstein College of Medicine in New York City. She practiced General Dentistry, assisted with the training of General Practice Residents and was extensively involved in Community Outreach programs. Dr Daka relocated to Fayetteville in the summer of 2007 and has built a practice with emphasis on earning your confidence by delivering exceptional dental care in a caring and compassionate manner. With her mastery of a wide range of dental skills including Root Canal Therapy, Crown and Bridgework, Dentures, Composite fillings and much more, Dr Daka will work with you to give you the impeccable smile and complete dental health you have always desired. Dr Daka is an active member of the American Dental Association and the North Carolina Dental Society. She is licensed to practice in North Carolina and New York.